Apple’s latest MacBook Pros, new 10.5-inch iPad Pro, iMacs, and other products will go on sale in India starting today. The latest products were unveiled during the company’s Worldwide Developer Conference (WWDC 2017) in San Jose. Apple’s upgraded MacBook Pros, new 10.5-inch iPad Pro, iMacs will be available in India starting July 10. 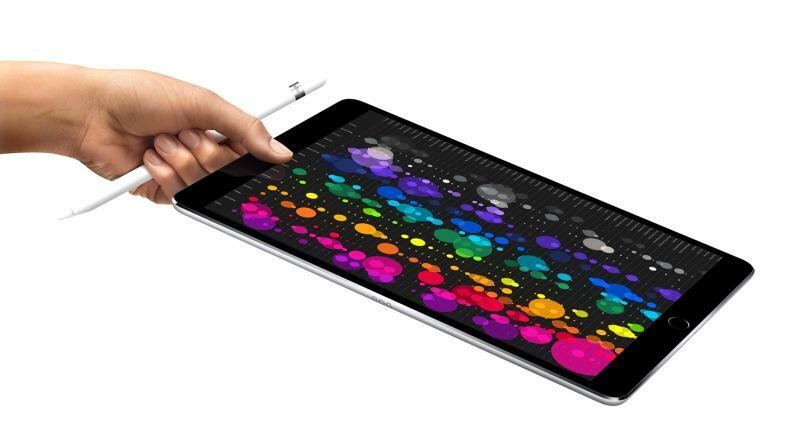 Apple has upgraded the iPad Pro in two models – one with the 10.5-inch display and the other with a 12.9-inch display. The MacBook Air line-up has also given a minor speed bump with a 1.8GHz Core i5 Broadwell chip as compared to the previous model that was powered by a 1.6GHz Core i5 Broadwell chip. MacBook Pro and iMacs have also been upgraded with the faster processor, and more. Apple MacBook Air with 1.8GHz Broadwell chip- Rs. 77,200 for 128GB and Rs 92,500 for 256GB variant. Apple 13-inch MacBook Pro, without TouchBar 128 GB- Rs 1, 04,900. 13-inch MacBook Pro with TouchBar 256GB and 512GB – Rs 1, 54,900 & Rs 1, 71, 900. 10. 5-inch iPad Pro WiFi – 64GB, 256GB and 512GB – Rs 50,800, Rs 58,300 and Rs 73,900. 10. 5-inch iPad Pro WiFi+Cellular 64GB, 256GB and 512GB – Rs 61,400, Rs 68,900 and Rs 84,500. 12.9-inch iPad Pro (Wi-Fi) only 64GB, 256GB and 512GB- Rs 65,900, Rs 73,900 and Rs 89,000. 12.9-inch iPad Pro Wi-Fi + Cellular 64GB, 256GB and 512GB- Rs 76,900, Rs 84,900 and Rs 100,900. 21.5-inch iMac iMac 3.0GHz and 3.4GHz with Retina-display- Rs 1, 06,400 and Rs 1, 23,700. Well, users who want to own the new generation Apple products can head over to their retail stores in your localities.